On the 8th June, Apple will hold their annual World Wide Developer’s Conference. The WWDC is a showcase for the latest technology coming out of the company’s Cupertino headquarters. Here’s what to expect this year. Apple traditionally reveal the new version of iOS at WWDC and it shouldn’t be any different this year. Don’t expect any major changes, though. The popular iOS 8 only came out 9 months ago and, given how much of an overhaul that was, Apple are unlikely to change it entirely. Most of the changes will focus on stability and ironing out iOS 8’s bugs. There will be new features, though. Rumoured additions include improved parental controls, split screen multi-tasking, public transport info in Apple Maps and a Google Now-style makeover for Siri. iOS 9 is expected to launch in September. As well as refreshing iOS, Apple are likely to give their Mac operating system a makeover too. OS X 10.11 (it’ll have a catchier name, don’t worry) is likely to focus on stability and performance improvements rather than major upheavals, although it’s rumoured that Apple will introduce an iOS-style control centre. There are a number of signs Apple will release a new version of Apple TV at WWDC this year: Google and Amazon’s success in the TV streaming market, the lack of updates for over 2 years and the suspiciously Apple TV-shaped splash image on the official invite. More excitingly, Apple may be launching their own streaming service to rival Netflix. Don’t get your hopes up too much though; apparently Apple haven’t finished negotiating with broadcasters and the service is unlikely to hit the UK for a while yet. Apple’s music streaming service has been in the works since they acquired Beats, and it could be unveiled at WWDC 2015. With so much competition, including Spotify and Jay Z’s Tidal, Apple face an uphill struggle to win subscribers. If the service is cheaper than Spotify and features exclusive content, as has been rumoured, it might stand a fighting chance. We should also hear more about Apple’s plans for iTunes Radio. After snagging Zane Lowe from Radio 1, Apple are allegedly planning to recruit Drake and Pharrell Williams to their roster of superstar DJs. The long-rumoured iPad Pro was expected to launch last year but never materialised. However, with Microsoft’s Surface Pro tablet proving so popular, Apple might not want to wait until October (the traditional month for new iPad products) to launch their enterprise model. The iPad Pro would be the perfect device to demonstrate iOS 9’s rumoured multitasking features on too. The Pro is rumoured to have the largest iPad screen to date – at least 12 inches – and a stylus. It will focus on productivity and work, although it should retain the functionality of the standard iPad too. According to industry chatter, Apple have been working on a car for a while now. Unfortunately, we know next to nothing about it; the project is taking place at a secret location and the few details that have been leaked are contradictory. It’s unlikely that Apple will unveil a car at WWDC 2015 (it’s a product worthy of its own event, after all) but fingers crossed, eh? The last iPhone launched at WWDC was the iPhone 4 back in 2010. Since then, every iPhone has been launched at its own event, usually in September. Given how well the iPhone 6 and 6 Plus are still doing, it’d be a massive surprise if Apple decided to unveil the iPhone 6S or iPhone 7 so soon. 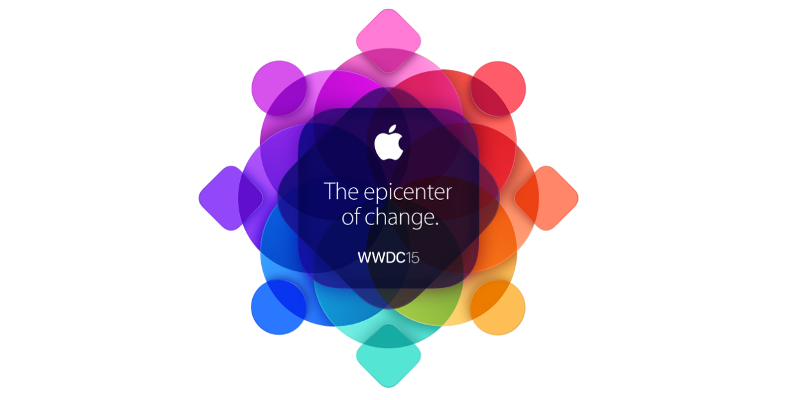 WWDC is, as the name suggests, aimed primarily at developers. For those of us who aren’t au fait with coding, most of it will be confusing. Last year, for example, they launched something called Swift, a new programming language that forms the basis of iOS and OS X. We have no idea what it is or how it powers our phone, but hey – as long as it works! Sell your Apple devices with musicMagpie in time for an upgrade! Just click below to get an instant price.